EasyKlip Mini clip grips tarps, clear poly, velour, muslin and countless other materials & fabrics, quickly and easily with a permanent hold. Available in white or black. 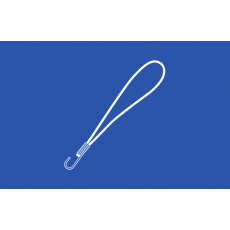 Sometimes referred to as tarp clips, EasyKlip products are ideal for tarp repair, tarp grommet replacement, hanging banners, suspending signs or anytime you need a clip to get a grip on material. The patented design is twice as strong as competitors tarp clips and it actually grips tighter as greater pressure is applied! Other tarp clips grip the material using constant static pressure no matter how heavy or how much the load weighs or pulls. 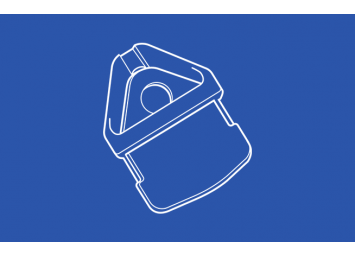 EasyKlip is designed to increase the clamping pressure or grip, as the load increases, making the tarp clips the strongest most reliable on the market. 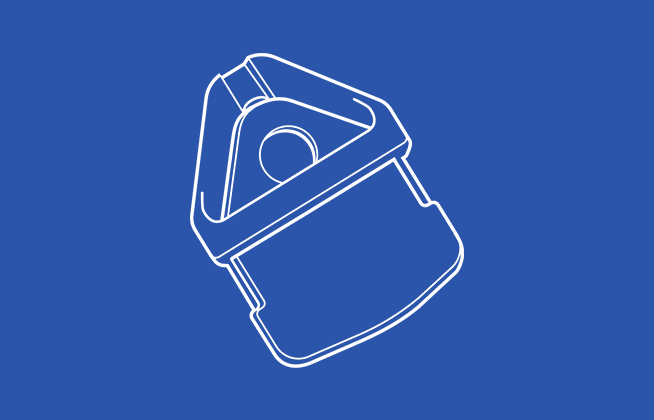 Applications for these tarp clips include camping, farm and agriculture, gardening and horticulture, as well as boating and automotive. 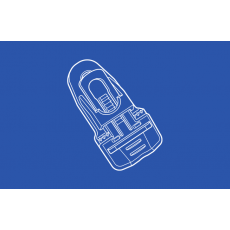 The EasyKlip Mini clip is also popular for use in advertising for trade shows banners, retail promotions, billboards and more. Instant "grip" up to 154 lbs!